Regular Joe: Tell 'Em I Sent Ya - Ten Pubs You Must Visit Before the Warranty on Your Liver Runs Out. Tell 'Em I Sent Ya - Ten Pubs You Must Visit Before the Warranty on Your Liver Runs Out. * It may sound trite, I may even be a cliche - But it is a truth, universally acknowledged, that there really is nothing in life quite like a great pub. Like the great Medieval cathedrals of yore (when was Yore exactly? Between ye olden tymes and the Late Georgian?) they offer sanctuary in an uncertain world. Not for nothing have most of the great deeds of men transpired in a pub setting. From the Wedding at Cana to the Boston Tea Party (Green Dragon Inn), great moments in history, political events, great art and great ideas have flourished in a bar setting. 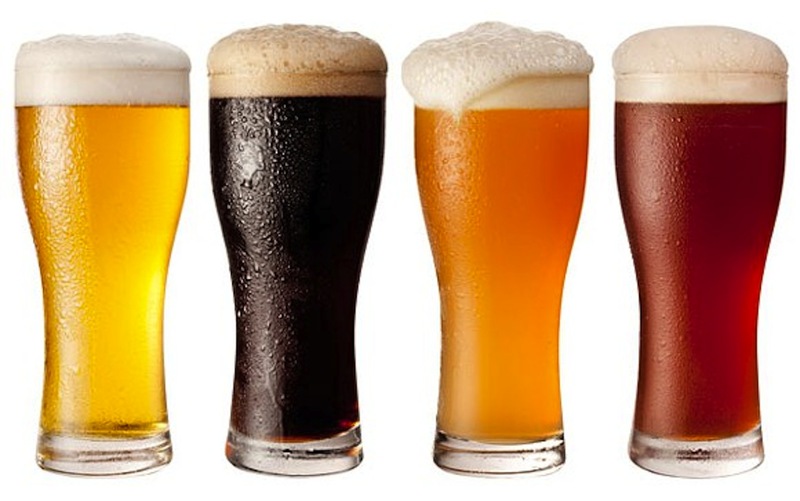 Ben Franklin, possibly on the night before the morning after, said beer was "God's way of showing us he loves us and wants us to be happy". And great pubs are God's way of telling us he also wants us to be comfy. My own idea of the Perfect Pub is somewhere small, quiet, wood panelled, with big windows, a small sound-system and a barman who is the strong and silent type. It's also a place where everybody doesn't know your name. So you don't have to talk to the Resident HeadBanger. I have sampled them from Seoul to Wyoming, Donegal to West Cork and beyond. And I would now like to share some of my favourites, in the hope of pointing people in the right direction. 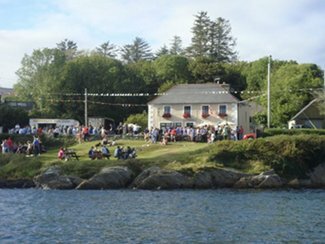 * The Tin Pub, Ahakista, West Cork - Graham Norton does a pub quiz once a year in this small, corrugated tin pub close to the Sheep's Head in West Cork. But don't let that put you off. The Tin Pub is a joy of a place with a secret. Push out the back door of the little bar and there is one of the world's truly great beer gardens, a long lawn, bordered by high pine trees and flower-beds, running down to the little harbour. A fantastic place to have a pint of cider on a hot summer's day. And if you don't like the sunshine, you can sit in the shed and look at the pictures of local Juniour B football teams. 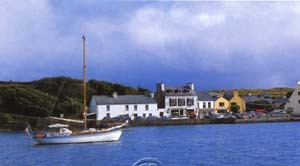 And if you are in the area, make sure to drop over in Billy O'Sullivan's on the pier in Crookhaven - a beautiful bar right on the pier wall serving amazing food. Get the Open Crab Sandwhich - it's like one of those bars you see on beer ads. 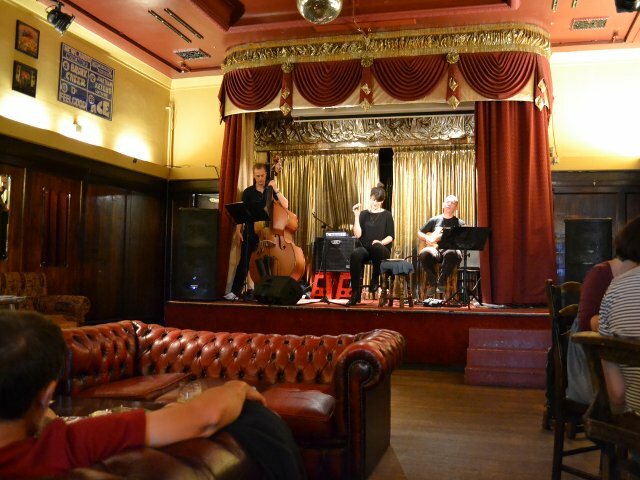 If you are ever south of the River in London - of a Sunday afternoon - you absolutely have to check out The Ivy House. This is Britain's first community-owned pub. 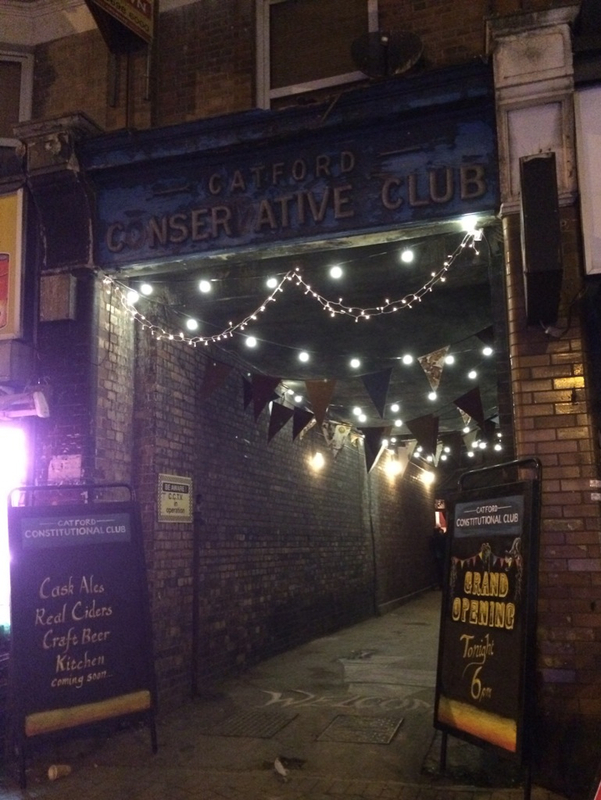 Basically, it's a Victorian masterpiece, the heart of a close-knit neighbourhood, a famous little live music spot (hosted everybody from Rory Gallagher to Dr Feelgood in the '70s. It's a beautiful old Gin Palace out front with an amazing little victorian music hall in the back. And when developers tried to close it down and build apartments over it a few years ago - the local community got together, raised enough cash to buy it and now run it as a going concern/pub/community-centre/performance-space. On Sunday afternoons - they regularly have big -band (and I MEAN BIG) orchestras play in the back for free. It's a jewel, a beauty, and testament to a great community spirit. And they do great beer. 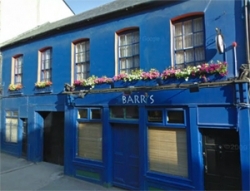 * Tom Barry's Bar - Barrack Street, Cork. Showing a little bit of bias - Tom Barry's is around the corner from the house I grew up in. Lovely girls behind the bar, a great beer-garden and they photo-copy the Irish Times Crossword and leave it on the little tables inside the bar. With biros. If you are ever in Cork, drop in. And order the pizza from next door. * Bifora Bar - Split, Croatia. I could have gone for a number of pubs in this great town - built into the ruins of the Summer Palace of the Roman Emperor Diocletian - but the Bifora is a great example - a tiny, hole in the wall place in an ancient wine-cellar, hidden away in a tiny square. Split rocks, and the little bars like the Bifora are amazing. Also, Croats are cool. My aunt married one. And the local football team are Hadjuk Split. Hadjuk is Croat for "pirate", apparently. Can't Remember the name of the bar, exactly, but it definitely ends in "Onnel" - Brantome is a tiny little village in Dordogne that's surrounded on all sides by a river and we spent an absolutely blinding afternoon there a while ago getting squiffy on local beers and wines while annoying the living feck out of the waiter by randomly ordering food for four hours. They had their revenge, of course, by charging us a small fortune. But that's France. It's one of those golden afternoons you remember long after you can't find your way back to the camp-site and end up in protective custody. Scruffy, a bit down-home and definitely in the wrong neighbourhood (or the right one, depending on your point of view) The Dice is one of the best bars in Dublin. A kind of New York dive bar in a divey part of town. Great music, great beers and the Cobblestone is just around the corner if you fancy a mini-crawl taking in some trad music. You get some cool people and you can dance at the weekends. My own free-form jazz-dance interpretation of "Wave Of Mutilation" is something of a legend in the neighbourhood. Spending a lot of time in That London at the moment - and the Island Queen in Islington is already a firm fave - even if it is on the wrong side of town. 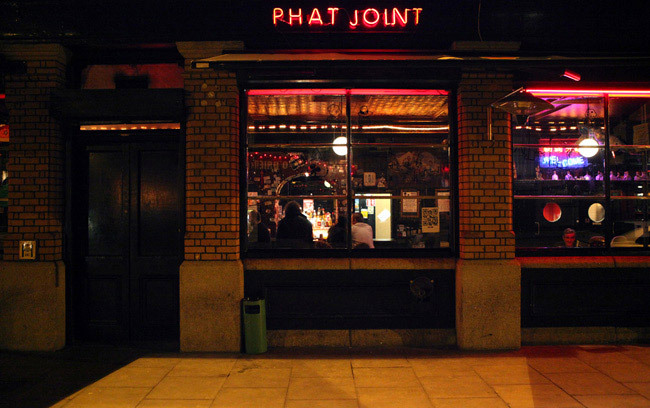 Great burgers, great beer, a real gem tucked down a side-street. Ideal for watching rugby. Yes, it's a bit gentrified, but it's an original victorian pub with all of the fittings and the charm. You don't really get anything like this in Ireland, unless you count Ryan's on Parkgate Street. Another old favourite of mine. * The Catford Constitution Club - Off (way off) Catford Broadway, That London. Tucked down a side alley in the resolutely unglamourous neighbourhood of Catford, Sarf Lahndan, the CCC is almost literally off the map. An old Workingman's Club, it's been taken over by a group which specialises in (gulp) quirky pubs with great food. It's incredibly shabby and moth-eaten, but the '60s decor, dry-rot and bendy floor-boards give it a lot of charm. Make sure to visit before it collapses in a big pile of slates & wood dust. Another local favourite - I never go home without going through the door, up the stairs, through the other, smaller door and into this tiny bar that looks like your Granny decided to open a joint in her front room. 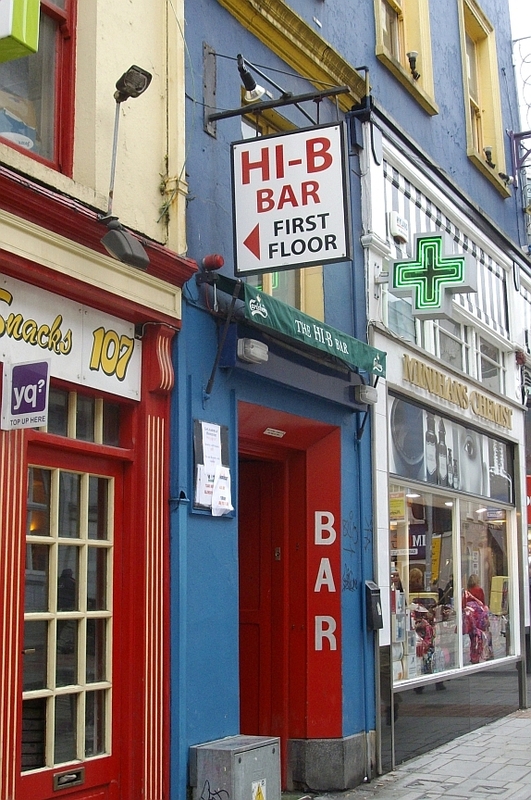 The Hi-B is legendary, probably for it's owner (now retired, I think) who would respond to any request for anything other than an alcholic drink with a stern - "Feck off to McDonalds if you want a Coke". Seriously, you could get barred for ordering Pop or a Mineral Water. I saw it happen. It's a bit of a bizarre place. But really, really worth visiting. And also the marvellous Long Valley across the road, for the famous door-step sangwhiches and the lovely snug in the front. Trust me, Christmas just gone, I dropped in there for a pint with my wife an hour after we got married. "I'm writing a novel" "Oh? Neither am I!" Everybody knows Grogans. The Last Chance Saloon for artists, writers and chancers who would have been big if it wasn't for ....THEM! 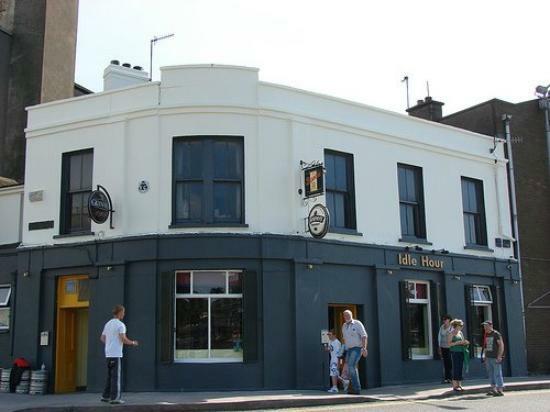 It is my local (kinda, sorta) when I am in Dublin and I actually did check once to see if the regulars weren't actually screwed in place on the barstools. Seriously, I have never seen one of them so much as get up to go to the jacks. I like to sit outside and enjoy a cigarette and pneumonia. The toasted sandwiches are legendary. And fair dues to the staff for finding a way to recycle old ceiling tiles. On friday night's in the summer, it gets absolutely rammed. Great if you get down early enough (say half an hour before noon) to grab one of the tables outside. Dublin is basically shite for outside drinking in the summer, there's Grogans, a couple of tables outside Peters and The Bailey and that's about it. Although I have heard rumours of a great beer garden in Toners which will be checked out in due course. On the docks, this old sailors pub has a great name, lovely guy running it and a fantastic, hide-away feel to it. Gets very busy at the weekend, but go during the week and enjoy the formica tables, gloss-painted wood panelling and the river outside. Lovely. Now if you'll excuse me. I've got a bit of a goo on for a pint.